Prove me wrong, LG G2 is the best phone you can buy today. 1. You can get this phone for 189.00 brand new unlocked for any GSM carrier. 2. G2 now is running lollipop, 95% of the criticisms when the phone launched were due to software. It now has lollipop goodness. 3. It is a "normal" sized phone. When LG released this phone they said this is as big as a phone should be for one hand use, and they were right. 4. Even in 2015 the hardware is up to snuff, snapdragon 800 and adreno 330. Any game will play on this fine. It also has 32gb's or storage standard. 5. 1080p screen. No worry about excessive battery drain due to Qhd screens of today. (more on battery below). 6. Dem bezels. The whole front of the phone is all screen. TO THIS DAY it has the highest screen to body ratio of any phone on the market. 7.Camera. Its STILL got a top 5 android camera WITH OiS! 8. And last but not least, battery life. 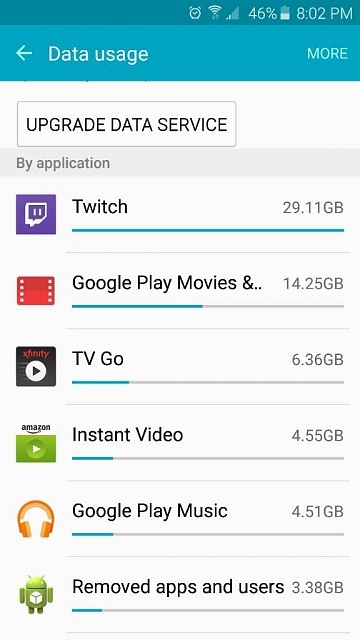 I just got off the first charge since i got lollipop, 37 hours on battery with 5 hours 19 minutes of screen on time, most of that was watching twitch tv which will drain a battery faster than youtube especially if you have it set to "source" quality. There are other things i didnt list like the notification pulldown (which HTC finally introduced with sense 7), perfected tap to wake/sleep (i literally never have to use power button), and an IR remote. The only thing it is missing is a louder speaker, but at least its downfiring and not rear firing (if g2 had the g3 speaker it would be perfect phone). The absolute kicker tho is not having to sign a contract, buy this gem of a phone and sign up with a GSM carrier (i went with cricket for 35.00 a month) and save literally thousands of dollars a year, and use same networks as people who sign those contracts. Im not an LG fanboy in the least, i did a ton of research before i bought a phone and in the end the G2 is what got my money. I know people like certain things about certain phones and my perfect phone isnt the same as yours, but this is the closest i could find to perfect. This does indeed sound like a great phone. I have never even considered LG products. Would it be a upgrade from my samsung galaxy s3? those seem like great specs for a wonderful price. The battery life also would be nice as I love everything else about my Samsung but the battery is OK but it is not outstanding. It is fine for me but longer could never be bad. Also how are you liking cricket as we are thinking of switching to them as Verizon have so many fees that I do not agree with. It is not that I am not willing to pay money for a good carrier but I feel like that they are trying to get over and get everything a piece of money that they can from people. Also what is the twitch TV you are talking about? I have seen it mentioned before and commented on it but I do not remember. Thank you very much for a wonderful review and any help you may give me. As stated above G2 is an awesome phone for the price its a large upgrade from your s3, i couldnt recommend it more. Cricket i have only been with for 2 months but they are amazing, FAR better coverage than virgin mobile (sprint). For 35 bucks you get unlimited talk+text and 2.5gb's of 4g LTE data, which is enough for me. You can spend 45 or 55 for more data if you like. Cool thing with cricket, no taxes or fees, my bill is 35.00 even every month. (cricket uses same towers as ATT does). I had to get a ATT sim card to upgrade the G2 to lollipop as its not on cricket yet (but it should be eventually). If you are thinking about saving money every month, cricket is in my opinion the best carrier to do it with. Oh and twitch is a streaming site where you can watch people play video games, among other things. I actually watch this more than i do TV lol. Its getting quite popular now, and was bought by amazon for around a billion dollars i believe. It's definitely an upgrade from a galaxy s3. Great battery life, good camera, fast, back buttons and fast charging. The G2 is also very easy to root and flash custom ROMs to maximize performance. I've had my G2 for almost 18 months and I still get great battery life (6-7 hrs SOT). Just wish it had removable battery and micro SD slot. No need for me to prove you wrong. I disagree and say the S6 is better. No one can be wrong since everyone should get the phone they want . If T-Mobile is good in your area and you have someone you could get on a plan with they can help save money by doing the 2 fully unlimited lines for $100 a month. My bill is 50 bucks (I have a discount that cuts out the taxes) but without the discount it would be 60ish with taxes and fees. The bonus to that is fully unlimited data. Like you.. I watch a lot of twitch but also other things. Here is this month so far. . This looks really intriguing. I have a Moto X 2014 whose screen I recently smashed. The repair would be at least $130 and I'm suddenly considering buying a used G2 instead. I'm sure it would be an upgrade in battery and camera. Can you tell me about the user interface and general user experience on lollipop? Ya that 100/month unlimited plan is a good deal, but i dont use near that much mobile data lol. Also in my town its mostly 3g and not LTE, ATT has full LTE here (cricket). And about the interface its good, features depend on what carrier you have. Verizon put more features in than ATT did, like ability to hide buttons in any app as well as a couple others. If you are interested im sure you can find some vids on youtube with g2's running lollipop. Remember guys i put price at #1, sure the s6 is a great phone so was the s5 and m8/m9 but you can get the g2 for 189.00 bucks brand new unlocked for any gsm carrier. True but any phone can be called the best if you only go on price .. just wait a few years after its release and done. . Cool story bro, very happy for you, enjoy it. I have no need to prove you wrong, perfectly happy with my Note 4 and despite its 5.7inch QHD display, I get 7-8hours Screen On Time, not to mention the benefits that come with the SPen, MicroSD slot and Photo Note. Can't think of a phone that is better at the moment for me. For now yes .. but soon enough another phone will take its place. Also it is leaps and bounds in your opinion .. some may not like G2 for something as simple as button placement so for them .. it isn't better . If I wanted a 2013 flagship I'd pay extra and get a Galaxy Note 3 and the extra memory expansion, better display, better camera, better battery life etc... If you had come here with a Note 3 it would have been quite difficult to 'disprove' you, but the G2, IMO, had a couple things missing that made me avoid it even in its time, but I'm glad you got a great deal on it, it is a fantastic phone. Every time carrying it, I feel like I am carrying a giant conditioner remote control. Those are about the only faults I can find with the G2 - no SD card and non-removable battery. I have a Note 3 and could probably live without the S Pen, but not without a removable battery, and I wouldn't want no SD card. Not saying that LG doesn't make good phones - I think they have been for years (I owned their first phone with a camera) - but those two points would make me want to spend the extra for the Note 3 or G3 if I were buying a 2013 flagship today. i've never seen a G2, but would love to have it. i have the plain old "G", and it is the best phone i've had. much prefer it over my moto x 2013. G2 is a great value. Cheap, good hardware... The only thing wrong is age... LG won't update it for much longer. But I'd just as soon load a custom ROM... There's even a port of the G3 LP build available I believe. Though I've owned a Nexus 5... If I had to buy a phone from that gen now, I'd probably get the G2. Is tap to wake/sleep same as on m8? Is it normal for the brown wire under the usb ribbon cable on a galaxy s4 to show copper? Wanting to get the OnePlus One..should I? Why are phone calls for numbers stored showing up as 'unknown'?